The automotive industry designs, develops, manufactures, markets, and sells motor vehicles, and is one of the world's most important economic sectors by revenue. But the financial crisis has changed the demographics of the auto industry putting formerly unknown manufacturers on the map, while top companies have lost their worldwide positions. But, still some companies manage to maintain their place. Now have a look at such automakers who make it to the top 10 in 2010. Popular throughout the world by the sheer volume of cars it produces and sells in almost all countries; Toyota majorly caters the car and Light Commercial Vehicle segment. With marques such as Daihatsu, Hino, Lexus, Scion and Toyota, this giant manufacturer produces cars of mass appeal, elegance and comfort. With stylish cars regularly churned from its basket it would be hard to beat it from its top position. General Motors is a United States manufacturers and the second largest automaker in the world. This company has been ranked as the largest manufacturer of motors in the world though its share dwindled due to the financial crises and declaration of bankruptcy. Currently it is focusing on its core brands Chevrolet, Buick, GMC and Cadillac. Its biggest markets are North and South America and China; however it’s trying to put a foothold in other emerging markets like India, Germany, Spain, etc. Ford Motor Co. introduced the revolutionary method of large-scale manufacturing of motor vehicles. 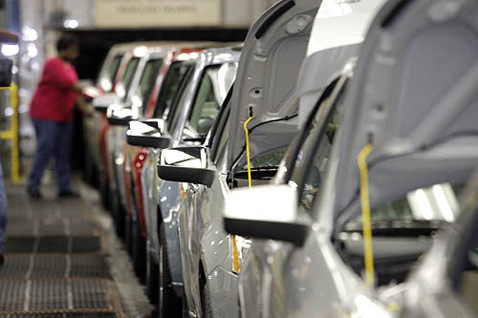 It is the third largest manufacturer in the U.S behind Toyota and General Motors. The Ford, Lincoln, Mercury and Volvo are the brands under its automobile segment. With a majority of its market share in North America and the U.S, Ford Motors is rapidly expanding its foothold globally with its ‘Ford’ brand. This Italian automotive major has a 20% stake in Chrysler since 2009 and its cars are best sellers in Brazil, Argentina and Poland. Its long list of ventures with local companies in India, China, France, Turkey, Russia and Pakistan has ensured that this company has made a mark on the auto industry. 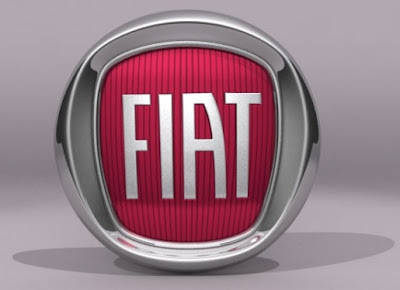 Fiat is constantly involved in R&D and its ‘Multiair’ engine won the ‘Best Engine of the Year 2010’ in the International Engine of the Year Awards for its innovative engine technology. Series of models and has brought out many innovations with its flagship 7 Series sedans. The company also had a successful stint in Formula One before winning 20 races before selling out to Peter Sauber. BMW is rapidly expanding its client base by setting up subsidiaries in South Africa, India, United States, China, Canada, Austria and Egypt. Daimler Corporation is the thirteenth largest car manufacturer. This German automaker has an envious basket of brands consisting of the ultra-luxurious Maybach, the ever popular statement-Mercedes-Benz, Mercedes-AMG, Mitsubishi Fuso, Setra, Smart. Luxury and comfort are its two main focuses while manufacturing models. To increase its market share it has also entered into an alliance with Renault-Nissan in 2010. Another German manufacturer to feature on this list, Porsche is into manufacturing of luxury high performance automobiles. An impressive list of marques such as Audi, Bentley, Bugatti, Lamborghini, Scania, SEAT, Skoda and Volkswagen group has ranked it among the top luxury automakers in the world. Porsche cars are immensely successful in the Formula One circuit winning more than 28,000 races. Porsche Cayenne SUV is also very popular with more than 250,000 models sold till date. TATA Motors emerged as a leader in automotive manufacturing after its historic takeover of British brands Jaguar and Land Rover in 2008. With a 70% market share in India, and ranked 19th by OCIA as the world’s largest automaker, TATA Motors is renowned for manufacturing affordable and cost-effective vehicles. It has also rolled out production of the cheapest car in the world ‘TATA Nano’ available at an ex-showroom price of $ 2,146 only. Apart from India it also has manufacturing plants in Argentina, South Africa and Thailand. The sixth largest automobile manufacturer in the world, Honda’s products are mid-sized and highly fuel efficient. Their line-up cars like the Honda Civic, Fit, Accord, Odyssey, Insight and CR-V are very popular in the car market. The Honda Civic has the longest running production period. Honda also produces more fuel-efficient cars than any other automakers according to the U.S. Environment Protection Agency. 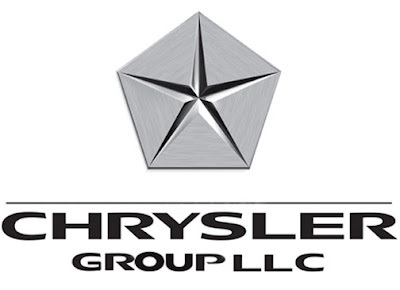 A U.S. automobile manufacturer Chrysler has manufactured popular brands such as Chrysler, Dodge, Ram, Jeep and GEMCAR- battery powered vehicles. Chrysler vehicles are also very popular among gamers with the Chrysler parody being used as ‘Chryslus Motors’ in Fallout video game series. Dodge vehicles are also used in the Need for Speed and Tom Clancy video games.